Discarded clothing makes up a huge part of the solid waste stream. In Episode 10 of The Wendel Forum (first aired on April 9, 2011, on Green 960 AM radio), our host Bill Acevedo interviews two up-and-coming companies with completely different approaches to limiting the amount of waste that piles up in our landfills. In the first segment, James Reinhart, the co-founder of thredUP (www.thredup.com) discusses the company, which is an online peer-to-peer exchange for children’s clothing. James explains the business model behind this swap-enabling website that saves families money and makes it easy to keep outgrown clothing from ending up as landfill. 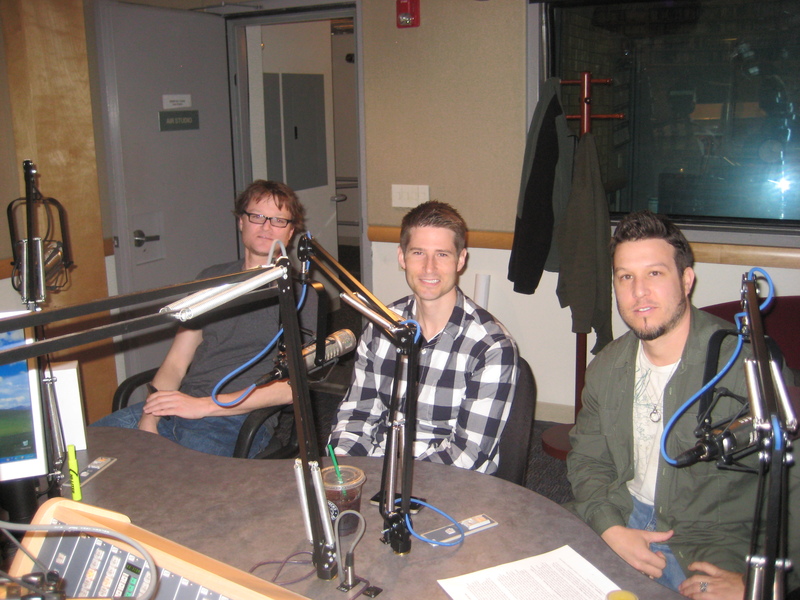 Left to Right: Dustin Page (Platinum Dirt designer), James Reinhart (thredUP co-founder) and Aaron Parrish (Platinum Dirt CEO) in studio for The Wendel Forum radio show. In the second segment, Dustin Page and Aaron Parrish of Platinum Dirt (www.platinumdirt.com) discuss sustainability and the high fashion world of recycled leather apparel. Not only does the company create jackets, purses and other products that are works of art, they do so by reusing leather stripped from vintage cars otherwise destined for landfills. What other companies have found new business models for clothing products that lighten the load on our waste stream?